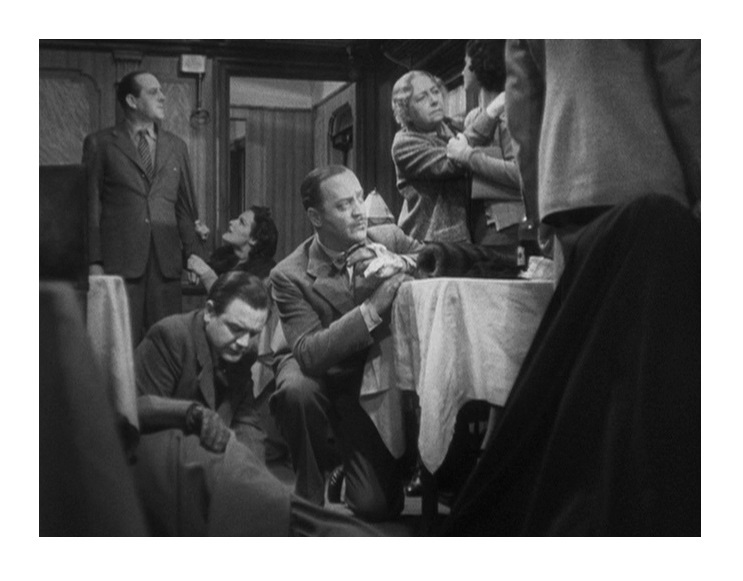 A British socialite (Margaret Lockwood, Night Train to Munich) on vacation in Europe, befriends a charming elderly governess (Dame May Whitty, Mrs. Miniver) on a train. When the governess disappears, the young woman tries to locate her but no one seems to remember seeing the old woman. A musician (Michael Redgrave, The Browning Version) does agree to help the confused socialite look for her friend. The Lady Vanishes is one of Alfred Hitchcock’s most popular thrillers, yet it has never been one of my favorite Hitchcock movies. It’s by no means a bad movie, but I’ve never felt passionate about it. I thought a re-watch would make me like it a bit more, and I was right; this time around the film’s deft blend of droll humor and mystery totally charmed me. I still think this isn’t one of Hitch’s masterpieces. Although The Lady Vanishes is an official adaptation of Ethel Lina White’s 1936 novel The Wheel Spins, the plot is based on a popular 19th century urban legend. Many movies have been inspired by this legend. It goes something like this: a person disappears without a trace, but no one seems to remember seeing the person. Otto Preminger’s Bunny Lake is Missing and Jodie Foster’s 2005 movie Flightplan, just to name a few, are variations on the same idea. Hitchcock himself produced a straight adaptation of the legend for his 1950s TV show. Perhaps I subconsciously sense the fact that this is one of Hitchcock’s least personal movies. It’s one of the few movies Hitchcock made where he had little input in the script. The screenplay was written for another director, who for whatever reason couldn’t do the movie. Hitchcock stepped in and made very little changes to the script. 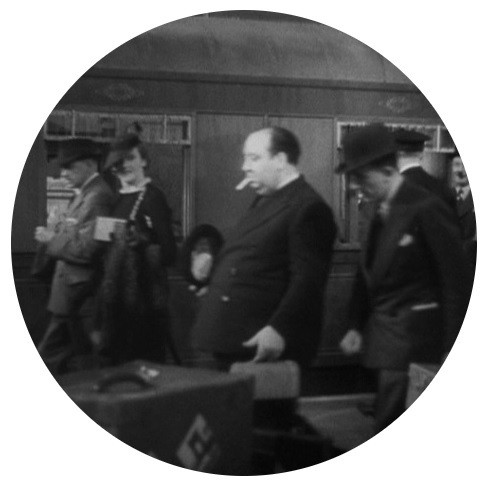 The Lady Vanishes does contain many of Hitch’s favorite motifs. Two of the director’s most recurring themes, “things are not what they seem” and “people pretending to be what they are not,” dominate the narrative. Also, the director’s predilection for creating contrasts is very much apparent here: humor vs suspense, romance vs politics, capitulation vs resistance, etc. 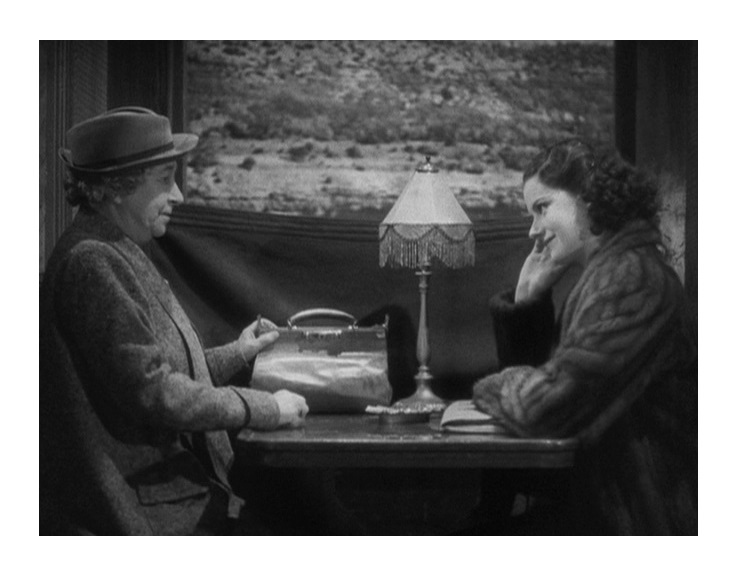 As I said before, The Lady Vanishes is very funny. At times it feels like a screwball comedy. The film will remind you of The Thin Man series. Margaret Lockwood Michael Redgrave get in all sorts of weird, funny situations. Redgrave’s smart-aleck attitude and Lockwood’s feistiness blend well together. The cricket-obsessed characters played by Naunton Wayne and Basil Radford are hilarious! They proved so popular with audiences that they were used in other movies. The cast also includes Paul Lukas (Watch on the Rhine) as a famous surgeon with nefarious intentions. 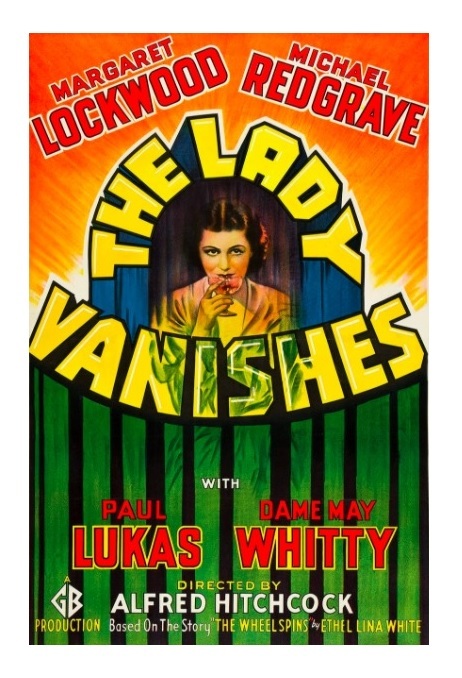 The Lady Vanishes was a huge box-office hit on both sides of the Atlantic. It’s also one of Hitchcock’s most important movies; it is the film that (finally) won him a long-term contract with Hollywood producer David O. Selznick. In addition, Hitchcock received his very first top award, the prestigious New York Film Critics Circle Award for Best Director. Today, the film is almost universally loved. The Lady Vanishes is not in the same league as Vertigo or Psycho, but it’s a charming movie — it’s mainstream entertainment at its finest. B&W, 97 minutes, Not Rated. I agree, Eric…not up there with his best, but still good, fun Hitchcock. Much better than…uh oh, one I think you just reviewed it today. I’ll go check it out and see if you liked it more than I did! Lady Vanishes is a lot of fun, I just like other Hitchcock movies more. I like it more than you do, and just see it as a good escapist film. The cast and characters make this one work in my opinion. If different people had been cast I’m not so sure it would be as good as it is, but that’s just my view of it. I love the relationship between Gilbert and Iris. Get a good giggle at good old Charters and Caldicott. Thanks for joining me, Eric. The actors were perfect! Loved the chemistry between Redgrave and Lockwood! The supporting cast was fun too. A double Hitchcock whammy! Both I haven’t seen. One day I’ll get to them. Slowly but surely working my way through. From your reviews I’ll go for this one first out of the two. Neither film is essential Hitch, but they are both pretty good movies. I’ll nudge them down the list a tad. The ones I haven’t seen are I Confess, Shadow Of a Doubt, Stage Fright, Spellbound, Trouble With Harry, To Catch a Thief, Marnie, The Man Who Knew Too Much and pretty much everything under Saboteur (which I liked a lot). Ah, you have some good-times ahead of you! Shadow of a Doubt and The Man Who Knew Too Much (1956) are among his best films. Marnie is a masterpiece, but it is an acquired taste. Spellbound and To Catch a Thief are lots of fun. I Confess and Stage Fright are flawed, but interesting. The most interesting pre-Saboteur is (ironically) Sabotage (1936), a truly gripping film! Foreign Correspondent and Rebecca are great too. Thank you so very much for jigging them into some kind of order. That has made my life easier. I will be working my way through. Yeah I had “spied” the similar titled Saboteurs and i’m very excited about hearing that Sabotage is a goodie. As I’ve started to dip my toes in the 30’s, that will fit in well for me. I really appreciate it. Thank you.